I’m about to do some of it! In an effort to increase the cash flow up in here (and to keep my hands and mind busy) I’ve been piddling around making some jewelry. 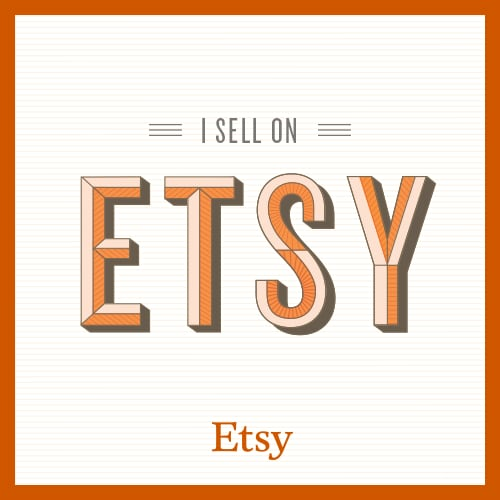 Rather than jump in whole hog and get my own website, I decided to join Etsy! So, in a shameless act of self-promotion, I’m providing you with the link to my Etsy shop, where you can browse all of my wonderful pieces and hopefully spend some of your wonderful money! Extra love for anyone who wants to spread the word! Click it, love it, spread it, shop it! I will be forever grateful! Simple enough statement, that. I mean, lots of people love the beach, right? Heaven knows thousands of people flock there each year for vacation. We used to go from time to time. The time between time to time got a little longer, then a little longer, and the next thing we knew, we hadn’t been in years. So this year I decided we were going. My husband does not love the beach. I think to him, the beach is basically like playing in a giant sandbox with a million other people while someone periodically throws salt water in your face. And it’s true–sand everywhere. Sand in your pockets, in your car, in your hair, in your ears, in your……well, never mind. The point is, it gets everywhere. But oh, I love it. Where we went, and that this time of year, there was no one. But that doesn’t even matter to me. I love the whole thing. There’s the excitement that builds in the days before you leave. Then the day of, you are up at dawn to get on the road. And as you are driving, and you get close, you can roll down your window and smell the salty smell on the air. Then you are there, and life takes on a different tone. My sister-in-law summed it up perfectly–no pressure. Life is slower, even if you are running the whole time. Then there’s the ocean itself, ceaselessly talking, talking, talking, telling you to forget your worries, relax, just breathe. We watched the sun rise, and we watched it set. We sat on the beach. We wandered. We shopped a little, ate a lot, and sat out on the deck. It was windy and maybe a little too cool on some days, but still perfect. (Note: okay, maybe not completely perfect. For example, there was a path behind our house which allegedly led to the beach. I should have been suspicious, because it had one of those haunted-house-type signs in the shape of an arrow that said “beach” in faded, nearly-illegible letters. The path seemed little used, but like most of the morons in horror movies, we took off down it just the same. We never made it to the beach, but we did manage to find several nuclear-power-plant sized spiders who built their webs across the path, and a vicious little cactus that attacked both my son and my mother-in-law and forced us to flee back to our house and perform first aid and drink wine to calm our (my) nerves.) But my sister-in-law is right–there was no pressure. No appointments and no chores and none of the mundane crap that makes up our lives. We just enjoyed ourselves, and felt happy. And I felt myself telling the ocean goodbye. I’m a little older, a little slower. It takes more planning and coordination for us to go to the beach than was necessary on D-Day. All of the caretaking is still required, just without the comforts of home. The balance has shifted just slightly, just enough to make me feel like the work required to get there is more than the rewards of the trip itself. Believe me, I never thought I’d hear myself saying it, but my heart whispered it to me as we drove home this weekend. I felt myself driving away from more than just a place. It felt like I was driving away from a part of my life. I hope it was just a fit of melancholy, but I wonder.